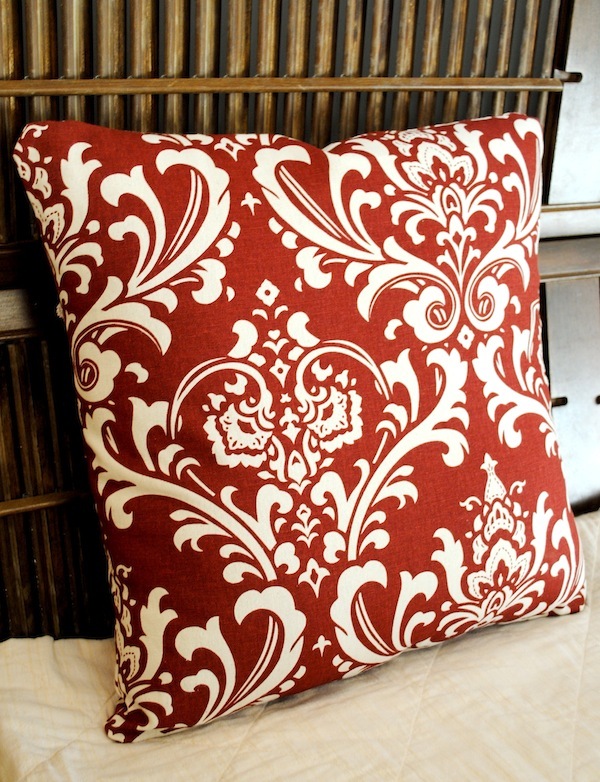 One of the easiest ways to add personalized style to a room is to customize a throw pillow, like the one above. The cool thing is that this can be done with any pillow. So no matter how abused, stained or dated a throw pillow looks, you can give it an updated look using your favorite fabric. Read on to learn how to make your own envelope pillow cover. Start by measuring your pillow. Add one inch to all sides. That will be your top piece that will show. Now use the same width measurements on either the same fabric or a plain pattern for the back. For the length, you’ll want to make the back piece two inches longer. Measure and cut your fabric to those measurements. Fold your longer back piece of fabric so that its length is in half. Then cut down the middle. For instance, if you had a piece that was 20 inches long, the two pieces will now be 10 inches long. For your two back pieces, iron down the sides that you just cut by one quarter of an inch. Sew those edges down. 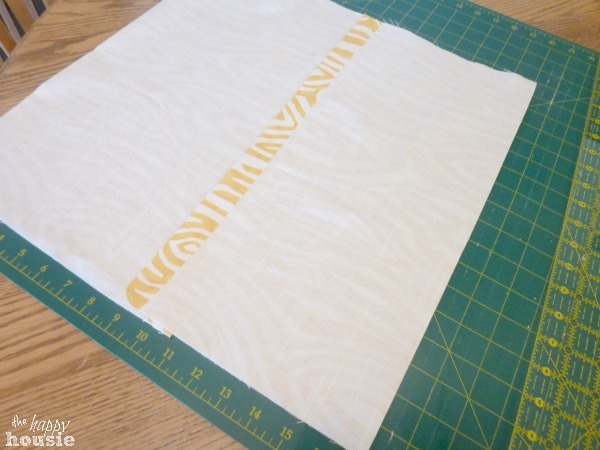 Make sure the pattern is facing down while you do this, if you’re using a patterned fabric. Sew around the edge. You can optionally cut rounded corners for a less pointed look. Flip your cover inside out, and tuck the pillow through the envelope opening.